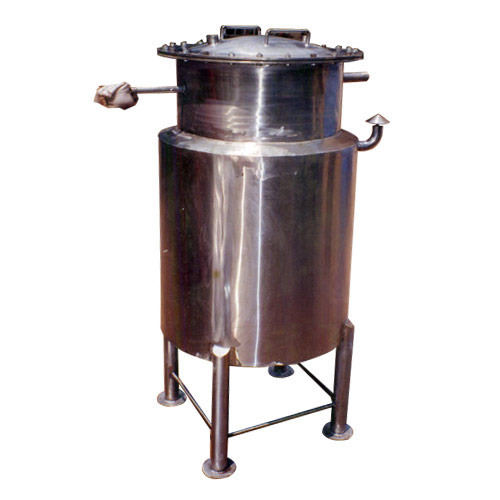 Our clients can avail from us high quality range of SS Jacketed Tank. These stainless steel products are highly functional and purchased by various retailers and industrialists. They are durable, best in performance, reliable and cost effective. These are finely processed with top quality metals and expensive machine. They are provided in best packing in stipulated time. Weston Engg. Fabricators Private Limited diversified to bottling industry and was associated with Parle Bottling Co. for the fabrication of the different types of spares for the their bottling plants. We started fabrication of the tanks and other allied bottling spares and was famous for import substitute components. We have been pioneers in developing short radius bends from S.S. pipes indigenously. We have been in the trade of manufacturing Stainless Steel Tanks, supply of SS pipe fittings and erection of pipelines or maintenance of machines and fabrication of different types of jobs as per customer's specifications and requirements. It entered in the direct market and started supplying Aviation equipments to Indian Air Force, Army. Navy and Oil Companies like Bharat Petroleum Corporation. Indian Oil Corporation and Hindustan Petroleum Corporation Ltd. Hydraulic Test Bench for testing of Cheetah & Chetak helicopters. Compressor Washing rig for Navy.